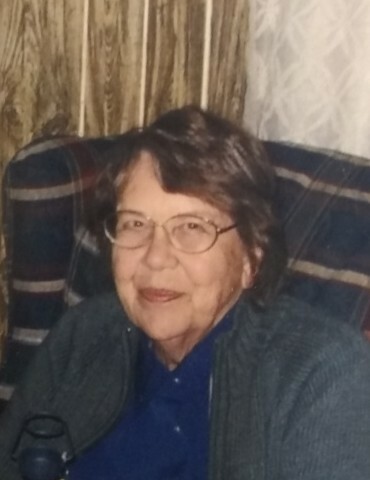 Myrtle Penne Kessel, 88 of Elkhorn, passed away on Thursday, November 29, 2018 at the Atrium of Williams Bay. She was born September 15, 1930 in Bellwood, IL, the daughter to the late J. Glenn and Elva (Ogden) Penne. Myrtle worked as a registered nurse at Lakeland Hospital. She enjoyed spending time in her garden and growing tomatoes in her greenhouses. Myrtle is survived by many who loved her and were loved by her, including her six children, Amy (Tom Mikolyzk) Kessel, Kathy (Charley) Ross, Kenny Kessel, Rebecca (Paul Zawadsky) Kessel, Robert (Deborah) Kessel, and Peter (Charlene) Kessel, 14 grandchildren, 12 great-grandchildren, and a sister, Ruth Hupp. She was preceded in death by her parents, five siblings (Frances, Harold, Mike, Billy, and Birdie), her daughter-in-law, Linda Kessel, and her granddaughter, Tanya Klassen. Service will be held at a later date with inurnment at Ora Rice Arboretum in Delavan, WI. Visit the online guest book at www.haaselockwoodfhs.com. Arrangements for the Kessel Family are handled by Haase-Lockwood Associates Funeral Home and Crematory.